Quite simply, repetition is the repeating of a word or phrase. It is a common rhetorical device used to add emphasis and stress in writing and speech. Repetition is widely used in both poetry and prose; throughout all genres and forms of literature and oral tradition. Aside from helping stress or highlight important thoughts and points, repetition can be a key tool for authors and speakers in developing style, tone, and rhythm. The big stairs led up to a big house with a big front door. Breathe, breathe, breathe, I told myself. I only have to stay for one second, be afraid for one second, not scream for one second. I can do it. I can win the bet. I can prove I’m brave. The passage above uses several different styles of repetition to show the narrator’s anxiety. By repeating what the character thinks and sees, the author makes the situation more interesting. There are many types of repetition in rhetoric, but below are some of the most common. Repetition is an important literary device because it allows a writer or speaker to place emphasis on things they choose as significant. It tells the reader or audience that the words being used are central enough to be repeated, and lets them know when to pay special attention to the language. Furthermore, repetition has historically been an important technique for oral tradition, as it helped storytellers remember details and lines that may have otherwise been difficult to repeat. Yes. Some are red, and some are blue. Some are old and some are new. Dr. Seuss uses a combination of repetition and rhyming to craft this catchy story that everyone knows. One of the reasons his books are so unique is that he makes use of several types of repetition, which together create a whimsical, silly sounding style. In the famous opening to A Tale of Two Cities, Charles Dickens utilizes repetition to add stress and emphasis to the positives and negatives of the time. Dickens’ famous words “It was the best of times, it was the worst of times,” remain some of the most celebrated lines in literature to this day. The way he repeats the phrase “it was” makes his words stronger, more memorable, more effective, and more convincing. 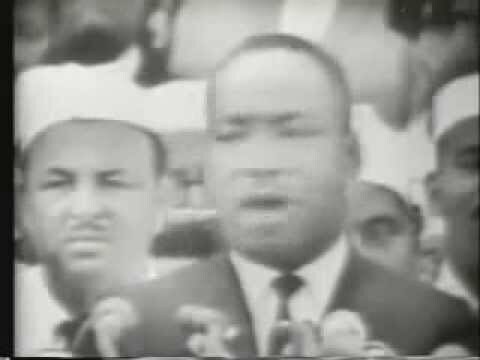 By repeating “I have a dream” throughout his speech, Martin Lurther King Jr. connects himself to these words and makes them stick in the audience’s minds. By repeating the words “I love that…” over and over again, Harry is placing emphasis on the fact that he loves everything about Sally, good and bad. He repeats these words over and over with the hopes that she will realize that what he is saying is real and true, and that she will return his love. Oftentimes, writers use some combination of the three types of sound repetition. For instance, “Splish splash splish splash” uses assonance, consonance, and alliteration all at once.